Branding is more than developing catchy taglines. Each organization makes a promise. A promise with its Vision, Mission and Values. A promise from its services and products. KINDUZ enables you to effectively deliver this promise to your customers and stakeholders. We help you win hearts of your customers and stakeholders, while delivering outcomes to them and to you. 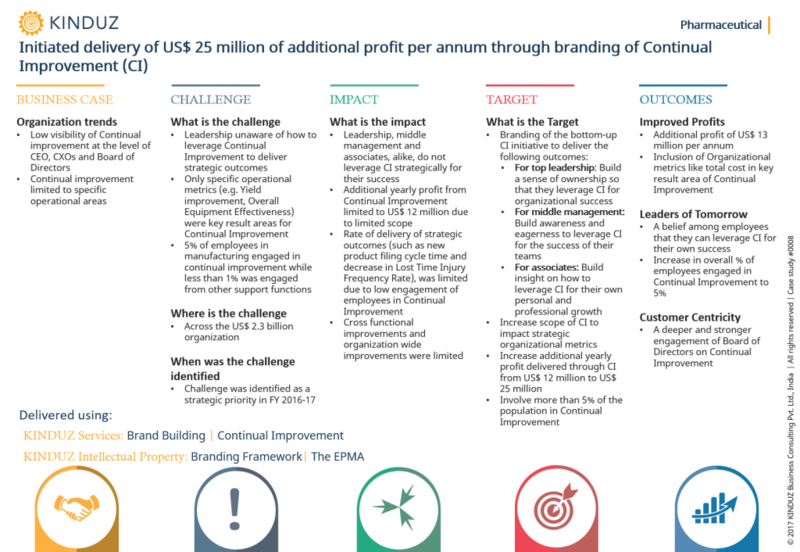 Our Branding initiatives seem to lack accountability as they do have KPIs around Outcomes delivered. KINDUZ focuses on delivering Return on Branding Investment for all it’s customers. See how we deliver ROBI using Brand Building Services. Branding doesn’t work in our industry. We only sell to businesses. Learn more about how we use branding building to give you a competitive advantage and protect your market share. We have a great marketing team and drive in great traffic in terms of leads. But, we cannot seem to convert the leads into customers. We help you to bridge the gap between the strategic branding initiatives and sales activities to bring in Qualified leads and convert them to sales. We understand organizations are different, Contact Us to know how we can customize our Brand Building Service for you.